Pop icons ABBA are heading back to the stage for their first tour in three decades - to perform as holograms. The Dancing Queen hitmakers disbanded in 1982, but enjoyed a brief reunion last summer (2016) to celebrate their 50th anniversary at a party in Stockholm, Sweden, where they performed their song The Way Old Friends Do. In October, 2016, the singers revealed they were working on a top secret virtual reality experience with music mogul Simon Fuller, and now bandmate Benny Andersson has officially announced the group has been working on hitting the stage as digital avatars, with plans to tour the world in 2019. 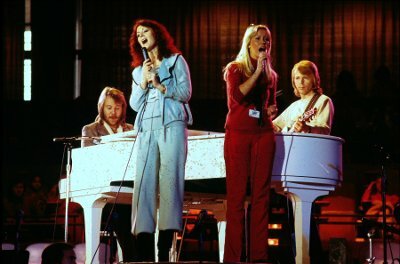 Andersson admits the idea, which has previously been used to resurrect late musicians like Tupac Shakur at California's Coachella festival in 2012 and Michael Jackson at the Billboard Awards in 2015, is groundbreaking as it allows the veteran ABBA members to delight fans without having to actually hit the road. "It's perfect. We can be on stage while I'm home walking the dogs," he told Australia's Herald Sun. "I don't have to leave my house. If this really works there'll be a lot of artists wanting to do the same thing, even artists who are still young and still touring. It's a very interesting project." The hologram versions of Andersson and his old pals Bjorn Ulvaeus, Anni-Frid Lyngstad, and Agnetha Faltskog, who is known for her fear of flying, are designed to resemble the quartet at the peak of its chart success in the late 1970s, according to the publication. The digital ABBA stars will 'perform' with a live band, featuring vocals taken from audio recordings of their 1977 Australian tour. Andersson continued, "It'll be like you're in 1977, with a live band, live backing vocals, a great set design with lights and sound, everything will be like a live concert." Official tour dates have yet to be revealed, but it's the latest piece of exciting news for ABBA fans, as Andersson is also busy writing new songs with his longtime collaborator Ulvaeus for the Mamma Mia! movie sequel. Mamma Mia: Here We Go Again! is the follow-up to the original 2008 film, which was based on the ABBA-inspired musical of the same name, and is expected to hit theaters in July, 2018.